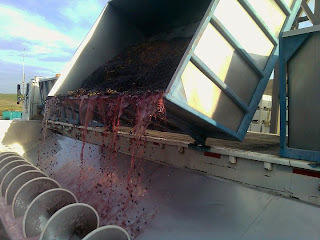 10/6 Update: The 2010 Washington harvest is now a race against the clock. After an unseasonably warm ten-day stretch that quickened the pace of ripening after a cool growing season, sub-30 degree temperatures are forecast in the Yakima Valley in mid-October. This has led to some concerns about how long the growing season will last. However, the warm temperatures over the last ten days have mitigated many of the concerns that numerous varieties throughout large areas of the state would not reach maturity before freezing temperatures arrived. Jay DeWitt of Dumas Station Winery and Minnick Hills Vineyard says of the recent warm weather, “The post-veraison weather has been unusually kind. 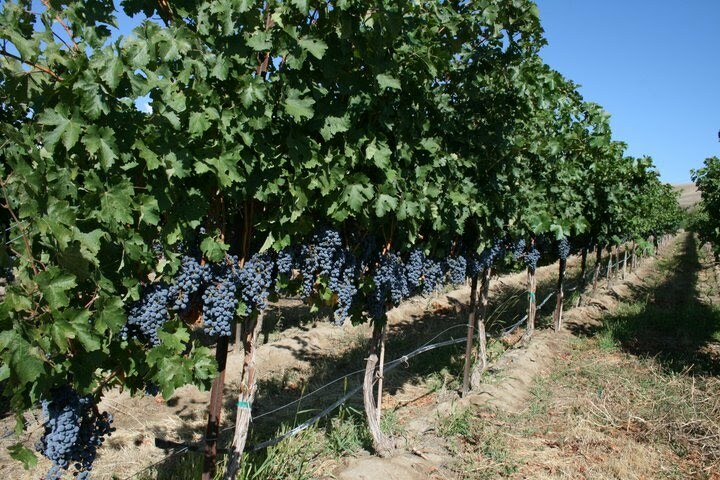 The daily temperature range, relative humidity, and sunlight hours have been nearly ideal for ripening. This was true for the past week, and the weather forecast for next ten days looks good. I am now confident that we will get nearly all of the grapes ripe.” This was far from certain even two weeks ago. Emphasizing just how unusual this growing season has been, DeWitt notes that the Klicker family has been growing strawberries in the Walla Walla Valley since 1918. They have never begun harvest later than they have this year. There are numerous other anomalies throughout the state. Botrytis has been seen on Syrah for the first time since the grape was planted in Washington in the 1980s. Kent Waliser of Sagemoor Vineyards notes that the order which grapes have been picked has been unusual, with White Riesling coming in ahead of Chardonnay for the first time at Sagemoor’s Weinbau Vineyard on the Wahluke Slope. Warmer sites, such as vineyards on Red Mountain, have already brought in many varieties. Seven Hills Winery, which traditionally picks earlier than many, brought in some of its Red Mountain Cabernet on October 4th. 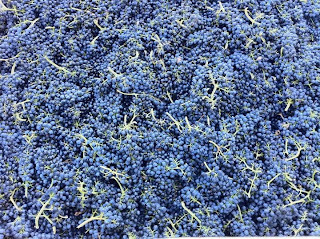 This is a good sign for many of the state’s winemakers that their pick dates for Cabernet, a late ripening varietal, cannot be far off. Still, cooler sites have large amounts of fruit hanging. Along with the potential arrival of cold weather in some locations, the other main concern at present is the compression of the harvest schedule. Much like last year, multiple grapes will be coming in to wineries at the same time. Vineyard manager Ryan Johnson, who manages multiple sites on Red Mountain, noted that this was the first vintage in his career where he would pick Merlot, Cabernet Sauvignon, Cabernet Franc, Syrah, Viognier, Roussanne, Nebbiolo, and Petit Verdot in same week. Monthly forecast for Yakima Valley, Walla Walla Valley, and Mattawa. Pictures courtesy of SYZYGY Wines, Obelisco Estate, Kaella Winery, and Waterbrook respectively. 26.4 brix, 3.66 pH, and TA around .45. 23.7 brix, 0.86 acid, 2.91 pH. 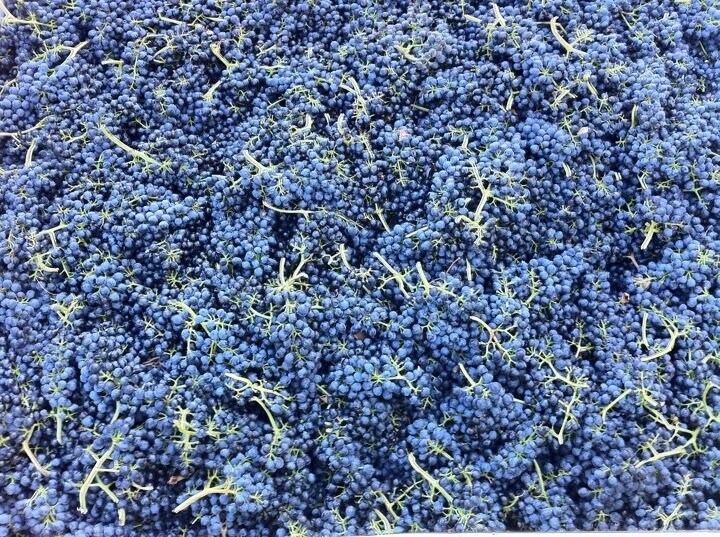 This may be the finest syrah harvested from these guys yet. Brix:23.5 pH:3.20 TA:0.70 its perfect! Continued good reporting Sean, but the 10 day forecasts for Zillah and Prosser show low of 39 on October 11, everything else in the 40's. The City of Yakima forecast has little to do with grapes in the Yakima Valley, and even there the forecast is to bottom out at 31 degrees, not "sub-30". Please stop with the hyperbole, the Perfect Storm did not happen in 2010. Chris, my intention here was not to offer hyperbole but rather to state concerns expressed to me by certain growers and winemakers. This is where the statement regarding the concern about cold (sub-30 degree) weather comes from - not from a personal reading of weather maps. Thanks Sean, Sorry for coming off so cranky. I shouldn't comment before coffee. I assumed when you linked to a weather site at the end of your article, and labelled it "Yakima Valley", it was meant to support the statement about sub-30 temps in your lede.